The Olympus OM-D E-M1 Mk II physical dimensions are very similar to its predecessor, the OM D E-M1. However, Aquatica came out with a few improvements over Aquatica's first-generation housing that will improve your underwater experience. 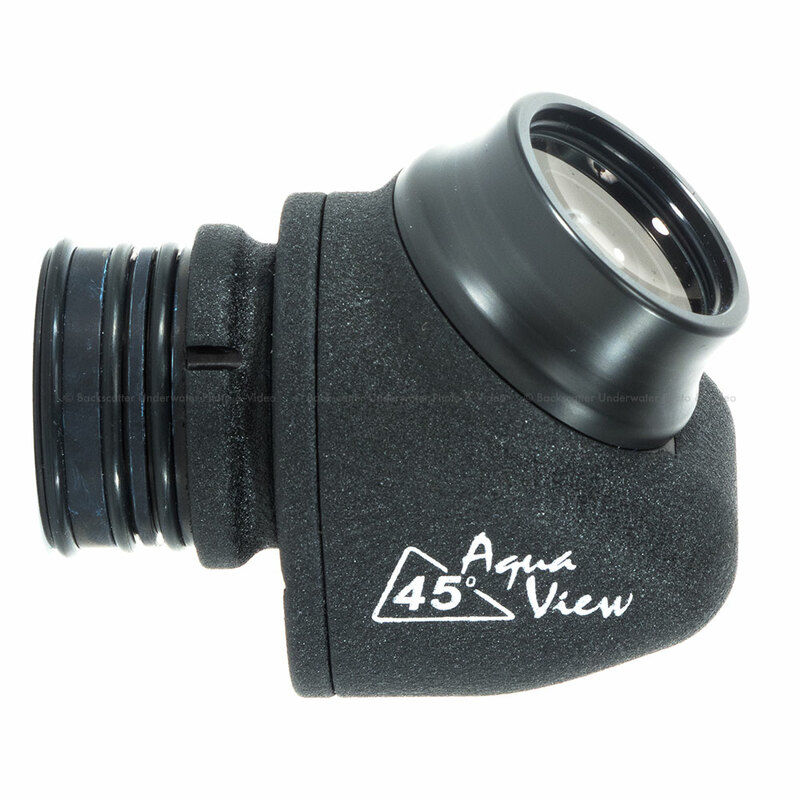 Aquatica prioritized a lower profile and more compact housing to truly take advantage of the E-M1 Micro 4/3 format. The AEM1II housing comes standard with a new improved and self-powered flash trigger when ordered with Optical connectors. This flash trigger is powered by two lithium coin cell style batteries that will give you a minimum of 15,000 flashes per set. The OPT version is designed to trigger strobes optically by firing low power consumption LEDs. 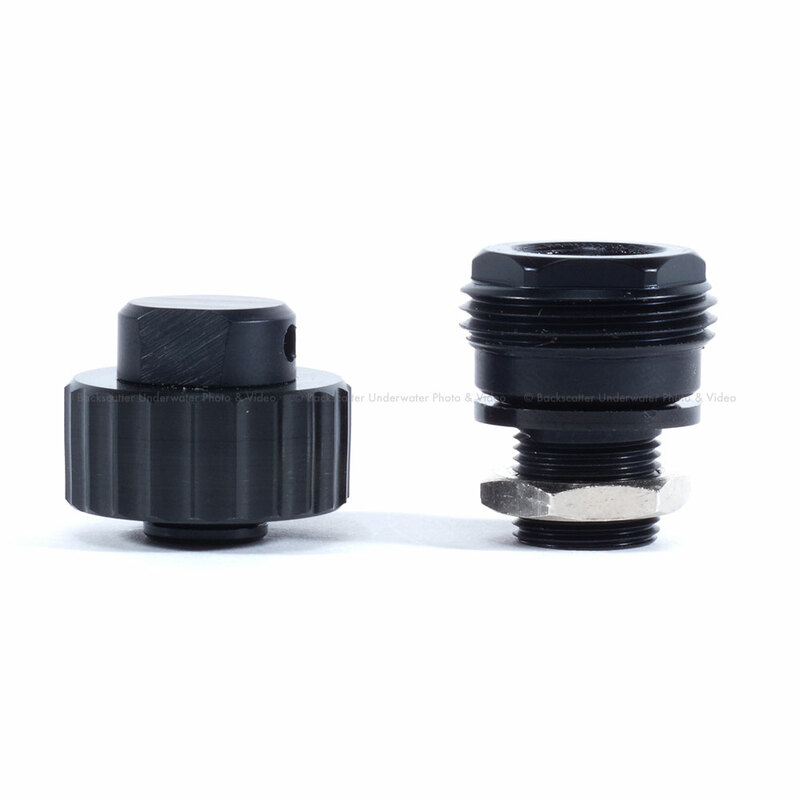 The AEM1II housing optical bulkhead plate can be swapped to accept a Nikonos or an Ikelite style connector as an option. Another great improvement over Aquatica's previous housing is the new self-position finding controls. With the AE-M1II housing, no need to insure in which position you left your camera or housing levers. Both housing controls using the camera levers (on-off, Fn) are designed to “find their own way” once the housing is closed. No need to check these controls before closing your AE-M1II housing. The AE-M1II housing also introduces a magnetic locking saddle, a new safe and convenient way of securing your camera. This innovative system automatically grabs the saddle once it is pushed in the housing with powerful Neodymium magnets. To ease up the removal of the magnetic saddle, simply flip the lock release lever. 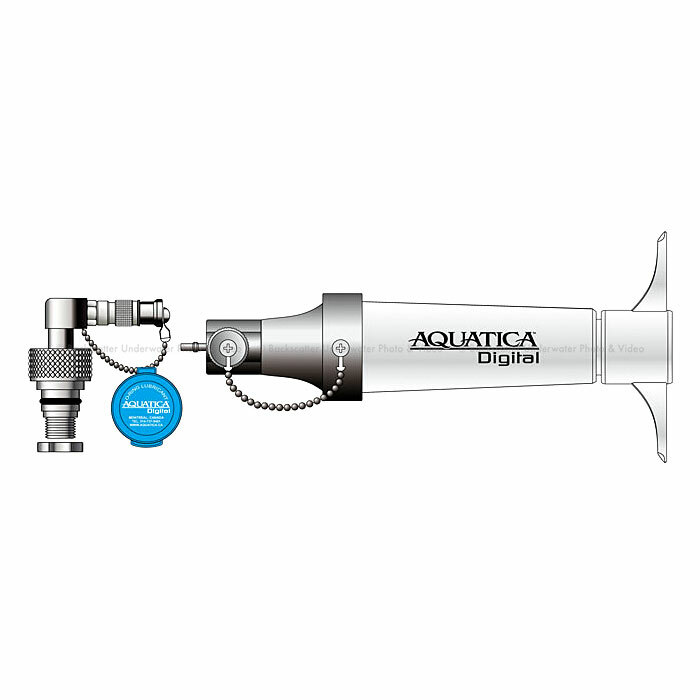 Aquatica's disengaging release system takes advantage of the repelling force of the magnets by flipping their poles, resulting in the saddle actually being pushed away from the housing when the lever is turned. 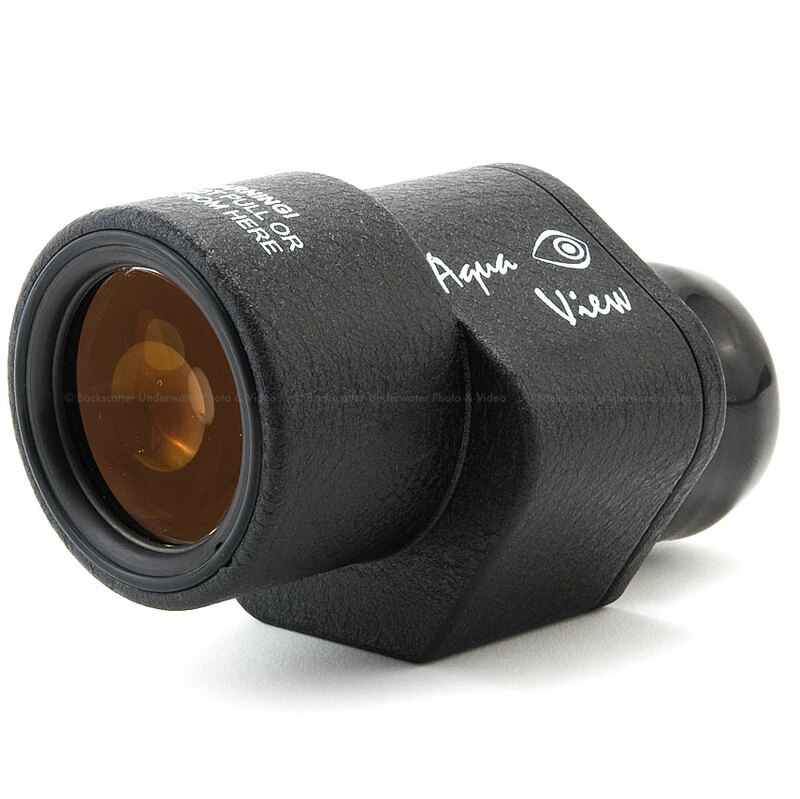 The Aquatica AE-M1II housing comes standard with Aquatica's Surveyor moisture and vacuum monitoring sensor circuit installed at the factory, the housing can be ordered with the optional pressure extracting valve and pump installed at the factory. 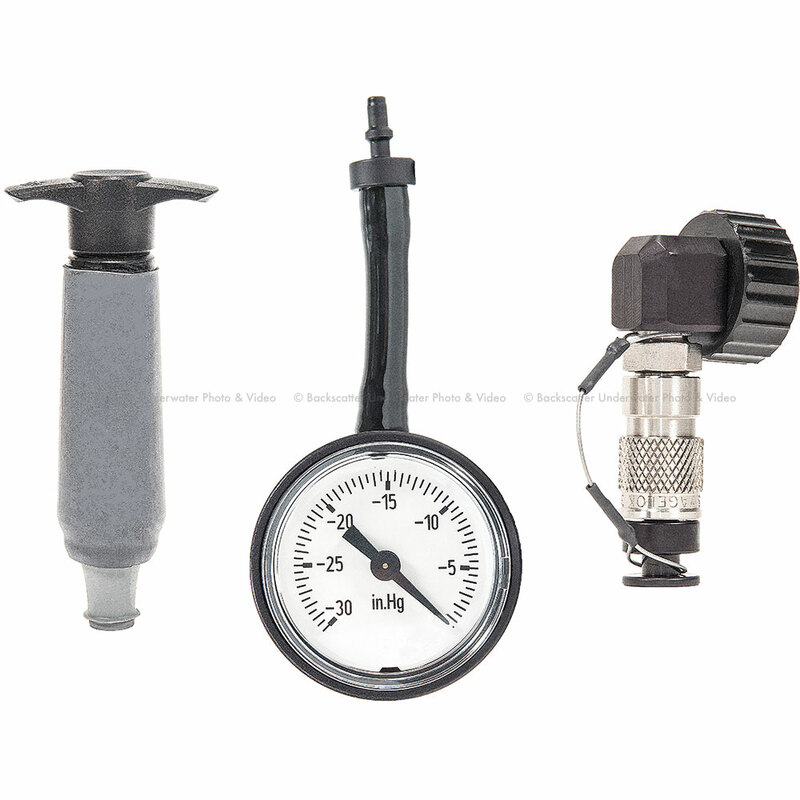 The visual and audio signal will attract your attention should any of the O-ring become damaged or hindered by sand, hair or any foreign objects that would compromise the sealing integrity of the housing. All that is required are a few simple steps for your peace of mind and knowledge that your equipment is safely protected from the environment. Well established and proven system of ports, extensions and accessories to meet your personal lenspreferences. W 8.25"x H 6.25" x 4.35"